On July 29, 2009, Microsoft and Yahoo! announced a deal in which Bing would power Yahoo! Search.All Yahoo! Search global customers and partners were expected to have made the transition by early 2012. The first public beta of Windows Live Search was unveiled on March 8, 2006, with the final release on September 11, 2006 replacing MSN Search. The new search engine used search tabs that include Web, news, images, music, desktop, local, and Microsoft Encarta.Windows Live SearchMSN Search was a search engine by Microsoft that consisted of a search engine, index, and web crawler. MSN Search first launched in the third quarter of 1998 and used search results from Inktomi. In early 1999, MSN Search launched a version which displayed listings fromLooksmart blended with results from Inktomi except for a short time in 1999 when results from AltaVista were used instead. Since then Microsoft upgraded MSN Search to provide its own self-built search engine results, the index of which was updated weekly and sometimes daily. The upgrade started as a beta program in November 2004, and came out of beta in February 2005. Image search was powered by a third party, Picsearch. The service also started providing its search results to other search engine portals in an effort to better compete in the market. A series of reorganisations and consolidations of Microsoft's search offerings were made under the Live Search branding. On May 23, 2008, Microsoft announced the discontinuation of Live Search Books and Live Search Academic and integrated all academic and book search results into regular search, and as a result this also included the closure of Live Search Books Publisher Program. Soon after,Windows Live Expo was discontinued on July 31, 2008. Live Search Macros, a service for users to create their own custom search engines or use macros created by other users, was also discontinued shortly after. On May 15, 2009, Live Product Upload, a service which allowed merchants to upload products information onto Live Search Products, was discontinued. The final reorganisation came as Live Search QnA was rebranded as MSN QnA on February 18, 2009, however, it was subsequently discontinued on May 21, 2009. Microsoft recognised that there would be a brand issue as long as the word "Live" remained in the name. As an effort to create a new identity for Microsoft's search services, Live Search was officially replaced by Bing on June 3, 2009. On July 29, 2009, Microsoft and Yahoo! announced that they had made a ten-year deal in which the Yahoo! search engine would be replaced by Bing. Yahoo! will get to keep 88% of the revenue from all search ad sales on its site for the first five years of the deal, and have the right to sell advertising on some Microsoft sites. Yahoo! 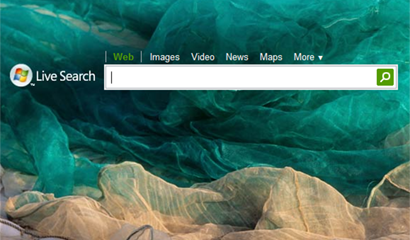 Search will still maintain its own user interface, but will eventually feature "Powered by Bing™" branding.All Yahoo! Search global customers and partners are expected to be transitioned by early 2012. Counting core searches only, i.e., those where the user has an intent to interact with the search result, Bing had a market share of 14.54% in the second quarter of 2011 in the United States.Before the launch of Bing, the marketshare of Microsoft web search pages (MSN and Live search) had been small. By January 2011, Experian Hitwise show that Bing's market share had increased to 12.8% at the expense of Yahoo! and Google. Bing powered searches also continued to have a higher "success rate" compared to Google, with more users clicking on the resulting links. In the same period, comScore’s "2010 U.S. Digital Year in Review" report showed that "Bing was the big gainer in year-over-year search activity, picking up 29% more searches in 2010 than it did in 2009". The Wall Street Journal notes the 1% jump in share "appeared to come at the expense of rival Google Inc". In February 2011, Bing beat Yahoo! for the first time with 4.37% search share while Yahoo! received 3.93%. The combined "Bing Powered" U.S. searches have declined from 26.5% in 2011 to 25.9% in April 2012. 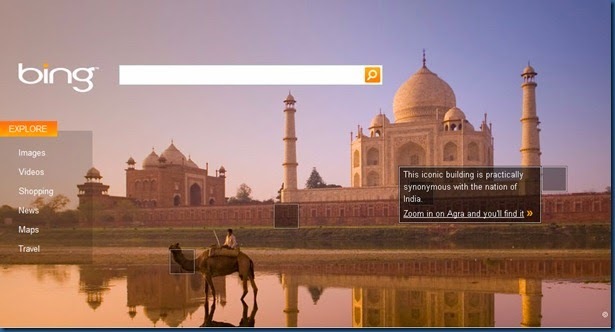 On May 10, 2012, Bing announced a future format change to a three-column display. The first column shows the traditional search results. The middle column, called "Snapshot", shows Bing's structured data and allows performing actions such as making purchases or getting directions. The third column, or "Sidebar", provides data from Facebook andTwitter. This post is about the different search Engine except the Google. Here features and working area describe about different famous Search Engine like Yahoo, Bing, MSN etc. Mostly people don't have idea about it and they think only Google is the search engine. I'm writer australia and like to help the students who need help in the solution of assignments and writing different essays. The most vital focuses: a rundown instructive organizations, your work involvement, your abilities and your accomplishments (both at work and at study). You can check a couple of resumes on the Internet and comprehend the structure. However, I would encourage to peruse trans4mind.com/counterpoint/index-creativity-career/lee1.shtml and work with them. On the off chance that you compose a resume out of the blue, you can scarcely compose it well, so it's best to depend it to experts, in light of the fact that the resume will turn into your business card in another place. I don't care for formal composition. I like to compose websites and post about my excursions yet not resumes. That is the reason I favor utilizing composing administrations. Quick, simple and efficient. In the event that I don't know which asset suit for my porpoise, I go to the essaypro.coms and look. There you can realize all you need about composition site. Rate, surveys, creators, etc. So I would prescribe everybody to attempt. On the off chance that you have an excessive amount of composing work https://blog.gradguard.com/2019/02/25/10-ways-to-overcome-a-creative-crisis/ it is a standout amongst the most ideal approaches to spare your time and strings.